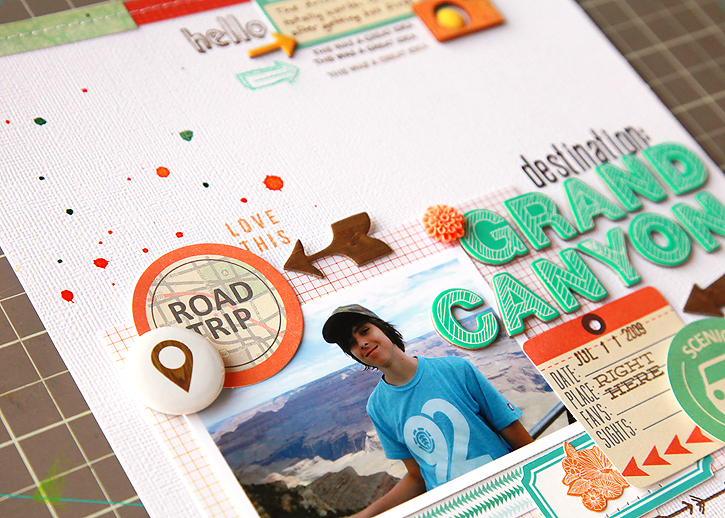 I'm sharing a layout today with a photo from a road trip to the Grand Canyon a few years ago. Alec is almost 14 in this photo... and I really can't believe he's going to be 18 this summer! 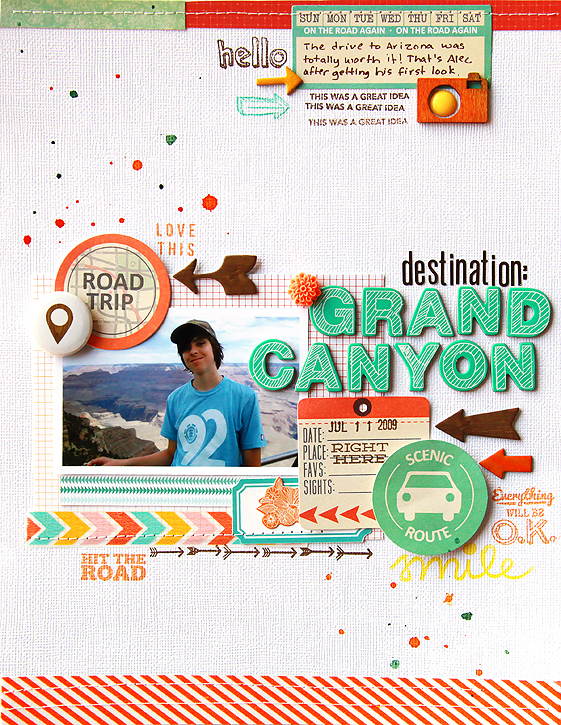 The fun Chic Tags Road Trip collection was perfect for my layout. 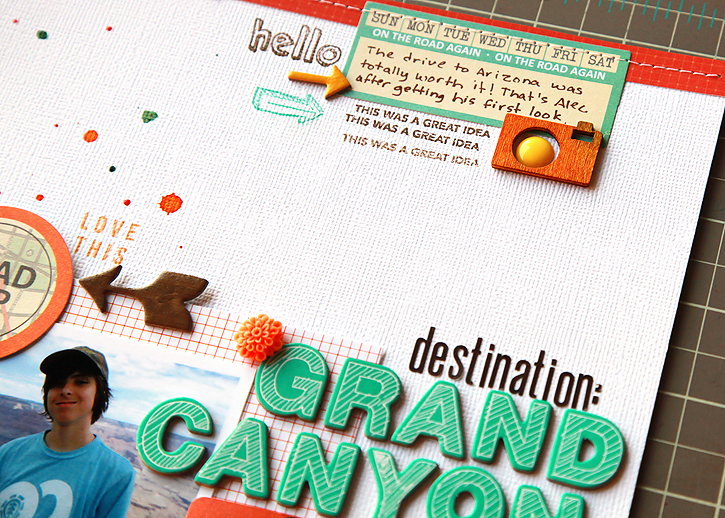 I also added in a little from each of the new Studio Calico collections - Here & There, Snippets and Sundrifter. The colors all work perfectly together. I did a little stitching on this layout too. I'm happy to say I even threaded my sewing machine yesterday without watching the youtube video! 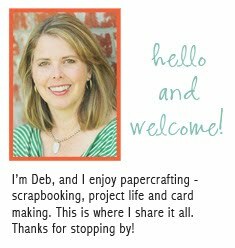 Another great layout, Deb! You are brave stitching directly on your finished page! :) But it looks great!